Are you looking for ways to get your child active outdoors? Have you thought about getting them a scooter? No matter what age your child is, a scooter will encourage your child to be active. Riding a scooter is easy to learn and will provide your child with an outlet to burn off energy. Teaching your child how to ride a scooter will make the process of learning how to ride a bike so much easier. As they master the art of scooting, they will learn how to balance, steer, and stop, all of which they will use when riding a tricycle or bike. Furthermore, your child’s fine-motor skills will improve as they ride their scooter. Their independence and confidence will increase as they will have to ride the scooter alone. There are a wide variety of scooters on the market for children. We created a list of the 10 best scooters. When reading through our list it is important to look at the number of wheels, the material of the scooter, and the size of the scooter. Taking note of these specific features will help you pick out the perfect scooter for your child. Scooters are a wonderful way for you to get your little one to stay active and enjoy the outside world. They are a great way to help promote a healthy lifestyle while also having fun. The scooters on our list are the highest rated items that the market has to offer for 2019. We also converted this guide over to our new layout. The Radio Flyer scooter is the perfect ride for beginners. Designed with two wheels in the front, your child will have a more stable and safe ride. The wide base provides plenty of foot room, thus improving your child’s balance and coordination. The turning radius has been designed specifically with younger children in mind as it makes it easy for them to turn without compromising mobility. The textured deck provides traction for your child’s feet. The padding on the handlebar will give your child a firm and comfortable grip. Your little one will strengthen the muscles in their legs, arms, and core as they ride their scooter. Gripping the handles will increase their fine-motor skills. The wide base, two front wheels, and the specially designed turning radius makes this a great scooter for beginners. Not all classic scooter models have a wheelie bar to do tricks, but this Razor A3 certainly does. Children who have already had some experience with scooters can perform fantastic tricks in skateparks or just on pavements with a few props. This model is made for kids who are 5 years old and older because it can hold up to 143 pounds. Smaller children must practice their balancing and coordination abilities before trying one of these sleeker scooters. The A3 is fantastically sturdy with its aircraft-quality aluminum material. The wheels, which are made of urethane, can absorb plenty of shock from bumps and landings. The handlebar folds down quickly and easily to carry or to store. Several color choices are available, so get your child’s favorite color and let them practice their scooter skills. The rear brake on the fender allows your child to stop the scooter quickly and safely. Your child will simply need to step on the back fender and the scooter will immediately stop. The aluminum material gives this scooter a high level of durability and will allow your child to enjoy riding it for years to come. You won’t have to worry about your child’s hands becoming covered in calluses. The handlebars are padded, thus providing your little one with a comfortable grip. Transporting this scooter is super-easy as it folds into itself, thus allowing your child to take their scooter practically anywhere. The aircraft aluminum provides your child with a sturdy ride while also providing the scooter with a high level of durability. Designed primarily to appeal to younger riders, the PowerWing Caster is an entirely different style of scooter. Instead of a linear deck, it spreads outwards like a gullwing toward the rear of the ride-on device. This affords children optimum stability as the wide stance allows for a certain steadiness that is perfect for beginning scooter riders. Razor says that the PowerWing is an excellent trick scooter but we believe kids will have to practice and train making those kick-outs, spin-outs, and side drifts. Part of the superb trick-playing abilities of the PowerWing is the use of caster wheels on the rear gullwing platform. These allow 360-degree rotation making for tighter turns and even side drifts with a combination of the front-steering column. The wheel on the front has a diameter of 125 millimeters and is made of high-quality polyurethane. The frame is made of premium-grade steel so it actually grows with your kid. Stopping power is initiated by a beautifully designed handbrake integrated into the handle bar that has been wrapped in soft foam for optimum comfort while maneuvering. The PowerWing is available in blue, black, silver, daisy, and sweet pea. Your child can show of their scooter skills as this scooter is designed specifically for tricks. The hand brake makes performing tricks safer as it allows your child to quickly come to a stop. With a heavy-duty aluminum steering column and deck, this kick scooter is a sturdier item than previous models. It can take weights of up to 220 pounds because of its larger wheels. It is easier also for taller kids with the adjustable handlebars. The firm foam grips on the handlebars make balance and coordination trouble-free. There are a rear fender brake and an operational kickstand. Even though it is made of sturdier materials, it is not a burden to carry when you are not riding. The Razor A5 is lightweight and durable. Its special build allows the product to be folded when carrying or storing. Several colors are available for your choice. If you have an older or taller child who loves to ride scooters, then this scooter will be a more comfortable ride than regular scooters on the market. The extra-large 200mm urethane wheels provide a smooth ride for your child on a variety of terrains. The back wheel is designed with a fender brake to make stopping easy and safe. The blue model is equipped with a retractable kickstand that allows the scooter to stand freely when not in use. The slim base will improve your child’s balance and coordination. The padding on the handlebars will allow your little one to ride for hours as they will have a comfortable grip. This scooter model comes already assembled and it is easy to fold up. Simple care like this is a wonderful reason to buy this durable scooter. Let your kids zip around the neighborhood in style on this scooter. The design features three wheels. Two are in the front for added stability and one in the rear. T-style handlebars constructed from metal are adjustable and firmly lock into place where needed. Along with metal the scooter construction also features durable nylon to give it a long lasting life. Wide neck design on the front of the scooter gives little feet just the right amount of space to balance on plus accommodates riders at any skill level. The wheels are made from plastic with bearings that give it a smooth and quiet ride. Brakes are easy to use by just simply pressing down on the rear wheel and it brings it to a speedy stop. The brake pads are reinforced with aluminum to quick and timely stopping. If you are looking for an adjustable scooter with style then this is the one. Riding a scooter is an ideal form of exercise that increases gross motor skill development. Scooter riding requires riders to perform a smooth action with their feet to push the scooter along and also to keep the momentum going. The movement with the legs to keep the scooter rolling along with learning to break is an ideal for practicing the more complex gross motor skills. This adjustable scooter is great for many members of the family and is very accommodating to the smallest members. The handlebars move easily and lock in nicely for a great secure ride. Available in 4 color combinations – pink and purple, teal and orange, red and blue, and yellow and green – the Berry Kick Scooter is something that Razor designed specifically for younger and more preppy riders. It has essentially the same features as in any other Razor product except that the colors of the Berry are more “fruity” or in fun pastel. It’s also lighter than most other models because of its plastic deck over a frame of lightweight steel. The fork and handlebar are also made of the same lightweight steel material. The only difference from other models is that the steering column cannot be folded onto the deck so carriage might be an issue. This adorable scooter is a perfect starter scooter for your little one. It is designed for ages five and up. It has more plastic than the other scooters one this list, this means two things. The first, it is more lightweight than others one this list, making it easier for your little to handle with minimal assistance. Note, this does not mean less adult supervision. The second thing the plastic materials provide is flexibility. Plastic is more moldable and will cause less injury than heavy solid metal. The foam grips provide your child with ergonomic comfort. This scooter can not be folded down, despite the fact that is has folding handlebars. The Berry is the perfect gift for any kid especially the trendy ones. Its deck is also phenomenal as it’s designed like a skateboard. The long-lasting and durable design of the Micro Maxi Scooter has wheels that are constructed of high-quality materials to give your child the best ride possible. Even on sidewalks or pavements that have many holes or bumps, this versatile ride can handle it. The best feature of this scooter is that it has two steering options. You choose which suits your child best. The one for easier balancing is the T-Bar, which is the traditional bar. The other is the Joystick that is better for curving. Getting both will allow different riding styles. It has the format of two wheels in front and one wheel in back, which according to some parents is the best design. When the two wheels are in the back, some kids might have trouble pushing the scooter. This model, which is made for young kids, is available in eight different colors. This scooter comes with a wrench to tighten the handlebar, which is certainly needed if you decide to purchase both handlebars. All the parts of this scooter are replaceable. This means that you can custom design your scooter by changing out the pieces you do not like or want to improve. Having an option as to what type of handlebar you want is wonderful! Like the manufacturer states, you can get both and change up when you want a different riding experience without buying another scooter. With flashing wheels that light up while in motion, the LaScoota is one of the best scooter options for very small kids. The greatest feature of this scooter is that it comes with a removable, adjustable seat. Children as young as two-years-old can sit and scoot in safety and confidence, as they build the talents needed for using a scooter while standing. When they are ready for the standing position, simply remove the seat. The seat has two options for height, and the handlebar has four height options. This model can last for years, as your child grows through the development stages it will accommodate. The ideal ages for this scooter are kids two to eight-years-old. The extra-wide deck has room for both feet, and the front tires are large to handle bumps smoothly. With stainless-steel construction, this scooter can withstand rough play. It is easy to set up and folds quickly for storage or travel. Whether sitting or standing on the LaScoota, kids will develop the skills of coordination, balance, and motor abilities quickly and easily because of its versatility and simple design. This is a two for one item because kids can ride and scoot or stand and scoot. The optional seat allows your child to grow with this scooter and become a pro quickly. Children as young as two-years-old can ride the Globber with confidence because it has safety mechanisms built in that parents can control. A button locks the scooter into a straight only position. No turning is allowed with this in place. When kids can ride comfortably in the lock position, then it can be taken off, so children can turn with the lean-to-steer ability. The large front wheels pivot for smooth turns, and the handlebar is adjustable to several various heights. With a weight limit of 110 pounds, the scooter has a reinforced steel-plated deck for durability and strength. There are comfortable grips on the handlebar of this scooter that comes in a large variety of colors. If you are looking for the perfect scooter for your toddler or young child, this is a great choice that they can grow with over several years. The Globber is a fantastic beginner scooter for those kids that are just starting out with this activity. It has a button for parents to lock the steering control to just go forward. This is needed until steering skills are developed. This wonderful scooter has some of the largest front wheels we have seen! This will ensure a smooth ride for your child, even on the bumpiest surfaces. This is a pro scooter for beginners, meaning that it is the model that best affords the moves needed to become a professional scooter rider. It is a learning model that can be manipulated into the movements of tricks, such as tail whips and board slides. This model features upgrades found in higher-priced scooters, and it is the top-selling pro scooter on the market. This item can be used in skateparks or in the street to prepare the novice for stunt riding. The deck is constructed of aircraft-quality aluminum, and the brake is noise-free and durable. Assembly requires just the tightening of three bolts, so the scooter is ready to ride right out of the box. Great tricks are permissible with this lightweight scooter because of the concave deck and sleek build. If you want to take your scooter abilities to the next level, then this is the ride for you. When kids reach the level of stunt driving with scooters, they will gain the skills of excellent coordination, balance, flexibility to execute the movements. This scooter can help build those abilities to the professional level. When kids can ride well enough to start doing tricks, then this is the scooter to get. It is still for the beginner, but its sleeker design gives more movement options than some of the others. All featured scooter models were designed with the child in mind. We chose models that are for toddlers beginning with the age of 2. These are simple scooters with no versatility in the handlebar so that kids can learn the basics of balancing and coordination. Other models go to the next level where some control of steering is possible, and then more-advanced designs allow total control in steering and trick abilities. Each scooter has safety mechanisms for the age level of the child for whom it is intended. Very young kids who start out with the basic toddler scooter models will grow with each phase of the scooter. They will eventually obtain all necessary abilities to maneuver the larger, more-sophisticated models in time. Every model we highlight on this page has a high approval rating and plenty of positive feedback from satisfied parents. Good reviews mean great products and we have handpicked the best scooters for you that are on the market. Your child deserves the best products, and we save you the time of sorting through models that may not be the best option for your child. These scooters are the best choices that parents and kids are selecting today. Each scooter here is made of high-quality materials to provide the best riding experience for your child. They are durable and long-lasting to endure rough play and abuse from normal childhood activities. Some of the models even have the growth of your child in mind because the handlebar is adjustable for height as your kid grows. They will get the best use of these scooters because they will still be riding them after several years. Safety was a major goal in the creation of these rides, as a few of them are for very young kids who are just learning the basics of balance. Manufacturers made the riding and steering of these models as easy as possible, so your child can enjoy riding as they learn the skills needed. The ones for toddlers do not have much steering ability because kids at this stage of life cannot yet coordinate their balance and the balance of a large object. They must have a three-wheeled scooter that can stand on its own. The child can then concentrate on his or her balance and ride the scooter that just goes forward. Advanced models do have the lean-to-steer mechanism where kids can lean into a turn. The scooter will go in the direction the child leans. When steering abilities are learned and balance is no longer a problem, a scooter with a turning handlebar is the best choice. All models are easy to ride for the intended user. We even feature a model with a removable seat for the toddler that must still sit and scoot. Scooters are a type of ride-on toy for which balance and coordination are very essential especially among beginning riders. One wrong move and you might injure yourself, suffer a scratch or a bruise, or, worse, get a sprain or even a fracture in the process. That is why if you are going to purchase any type of scooter for your kid, it is always important to purchase safety gear such as a helmet and elbow and knee pads. Safety issues aside, scooters are one of the best ways to develop a kid’s proprioceptive sense as this essentially helps the brain establish the body’s position in relation to its surroundings. This becomes the basis for the enhancement of the child’s sense of equilibrium or balance. This can lead to the more successful accomplishment of other physical activities in which absolute concentration to maintain balance is required. For example, gymnasts will have to strengthen their core muscles as well as the muscles of the legs to maintain balance for significantly longer periods of time. Riding a scooter can help in this aspect. Now, it is essential that the scooter is of the kick type and not electronic. Electronic scooters don’t require foot propulsion so there is no way kids will be able to strengthen their leg muscles and train a lot better about coordinating their lower body movements with the actions of their hands and the things that they see. On an electronic scooter, the child will be more focused on maintaining balance. On the other hand, a kick scooter will develop a child’s sense of muscle coordination-– one-foot kicking and one foot stabilizing the rest of the body on the scooter’s deck-–while also maintaining balance. Additionally, the speed of the scooter will be entirely dependent on the strength of the kick. Riding scooters don’t only develop kids’ psychomotor skills but also their cognitive abilities, particularly their spatial intelligence and understanding of causal relationships. Performing a variety of scooter tricks requires the rapid processing of information by the brain so that these can be fully integrated into the different motor movements. More importantly, riding a scooter helps children feel happy especially if they are able to perform tricks. This helps to enhance their self-esteem and also boosts their self-confidence. This becomes that fuel for them to succeed in any given endeavor. Moreover, it can also help them deal with their peers or fellow scooter riders in a more positive way, paving the way for healthier social relationships. Scooters are one of the best gifts you can give your child this coming holiday season. With our list of the top 10 kids scooters, it is now a lot easier to choose which one to give. Q: Will these scooters provide my child with comfort? 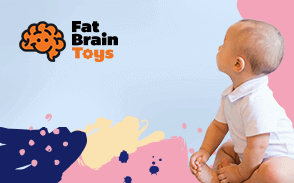 A: They feature foam handlebars that provide your child with a comfortable and ergonomic grip. Most of these have tires that are meant to be shock absorbent. Q: Where can I find replacement parts? A: Most parts can be purchased online and some come under warranty to provide you with peace of mind. Q: Do these items come with a warranty? A: Most manufacturers provide a warranty policy providing you with peace of mind in case something goes wrong with your product. There are also websites that offer their own separate warranty so this will give you a double layer of security in assuring you are satisfied with the results of your discrepancy. A: All of these scooters are designed to support from around 100 pounds to roughly around 200. While there are a few items on this list that are meant to be a starter scooter for your young child, there are some more-sophisticated products that give children who are a bit older, taller and heavier the chance to enjoy this product as well! A: The scooters include an assembly manual to help make it hassle-free. The majority of these devices are simple to assemble because they are designed to simply collapse and fold out again. Q: Can the handlebars be adjusted? A: Most of these scooters have foldable handlebars and necks for convenient storage and travel. Some include folding or adjustable handlebars. In addition to convenience, this provides your child with customizable comfort meant just for them.